The club had its regular burger night on Friday night. On Saturday, we offered BBQ in a Bag. Those who attended had a great steak or grilled chicken dinner with all of the fixings. Several members enjoyed drinks at the club on Sunday. 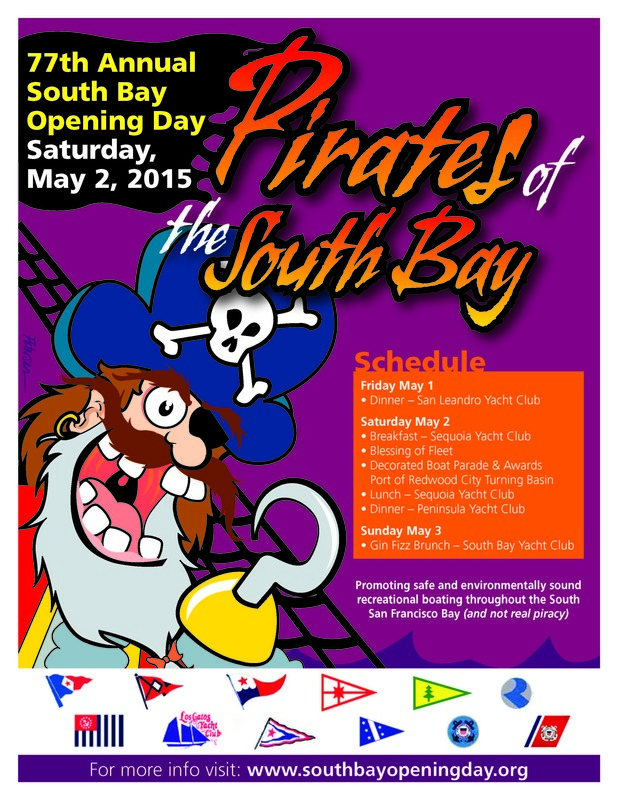 If you have not done so already, please sign up to attend the festivities at South Bay Opening Day. A great time will be had by all with dinners at San Leandro and Peninsula Yacht clubs, a boat parade and festivities at Sequoia Yacht Club, and a brunch at South Bay Yacht Club. CPYC is well involved with these activities, so sign up today.